What do you do if a product you bought fails to work? Hair products can be expensive. 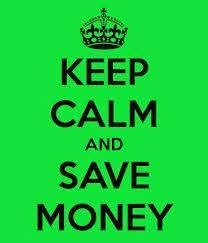 Knowing the options for what you do if the product fails can save you lots of money and shelf space. There are different options that you have if you bought products that does not work for you. There are some stores, such as Sally Beauty Store, that will allow you to return products for full price back. Even if you have used part of the product, you can still return it. If you are buying a hair product or tool that is very expensive, find out the store or online return policy. Make sure to check if there is reshelving fee. You can try to resell your product to other people online. A good site to use is Lola's Green Hair. A lot of swapping is going on in several hair forums and even on facebook. You can swap your used products for another product that someone else does not want. Check out this swap board on CurlyNikki. You can also attend swap meets with other naturals. Remember that the products you swap should be gently used and at least 50% unused. This last option is one that I use all the time. Finding alternative uses for a product that does not work is quite easy to do. For example, I have a couple of shampoos that I no longer use. Instead of using it on my hair, I use it for my pedicure. I also have a product that does not work well for me as a deep conditioner, but according to the product usage, can be used as a styler. When I mix it with some oils, it works great as a styler. You have to experiment to get the best results. What other ideas do you have for using products that fails? I love this product!! When a product can do more than one thing and it does what it says it will do... well... that's the kind of product for me. If you are experiencing shedding or breakage, give this product a try. Let me know if it is a love or hate for you. I was responding to a comment from one of my post when I suddenly got an Ah-ha moment. 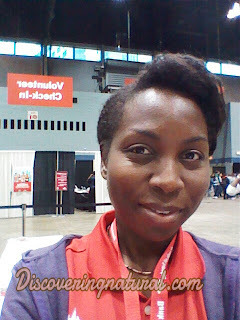 So, I felt the need to confess to you all about why I feel I am not ready to Big Chop. Yes, I am. I think the struggle I have currently is that I have never worked with my hair being less than shoulder-length. I have a section of my hair (at the back that is all natural). I call it my "test area". Last wash day, that area was collar-bone length, STRETCHED. When not stretched, it is ear level. I am hoping that when I BC, my hair will be at least shoulder length when not stretched. Ohh... I just need to embrace shrinkage, right? What is stopping you from doing a Big Chop? As I get closer to my 1 year mark of transitioning, I start to think about Big Chopping. 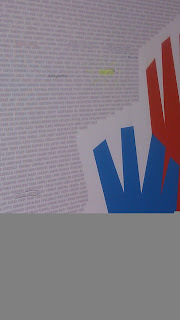 Really, for the first time...I am thinking of doing it! LOL! Over these months, my hair has grown about 5-6 inches stretched! I still have some relaxed ends. The longest is around 4 inches. 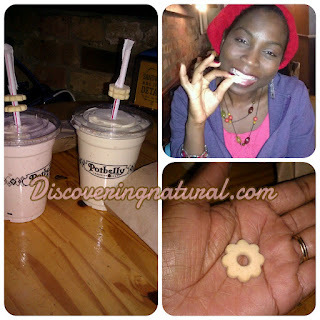 I went back to an old post I did when I first started blogging. I found this picture of when my mom did a big chop on my hair. As you can tell, I was not so happy about it. Me and my little TWA! If you transitioned and have done your BC, how long did you go for? On this natural hair journey, I am always thrilled at "first finds". I was happy when I saw my first curl! However, today, I discovered a single-strand knot (SSK) or fairy knot on one of the hairs on my edge... NOT THRILLED! Since my edges are all natural and growing out, I was not really shocked. Not yet sure what to do about these SSK, so I decided to do some research. 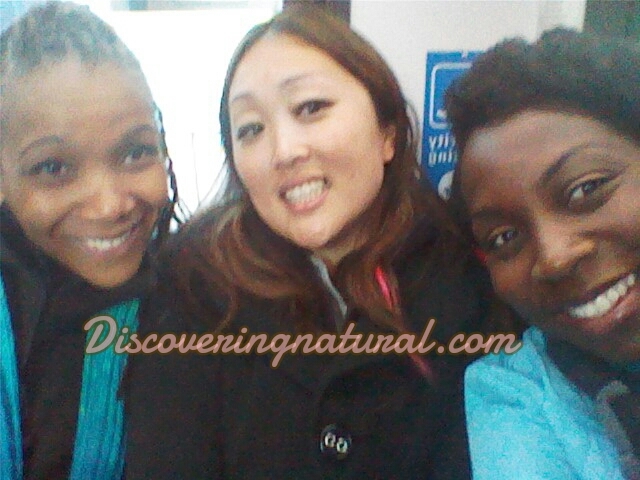 It seems that SSK goes hand in hand with natural hair. Since SSK cannot be avoided, here are some ways to minimize them. Do you get SSKs? How do you avoid them? 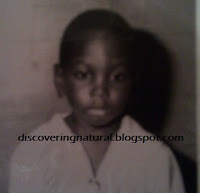 As a child, I often got my hair threaded, I loved it because the takedown was easy and it resulted in softer hair. Now that my new growth is nearly half of the length of my hair, shrinkage has taken over. To reduce the shrinkage when I style my hair, I have decided to african thread my hair. This is the first time I have threaded my own hair. I often thread the girls' hair and they love it! Looking upclose at the end results, it almost looks as if I two strand twisted my hair. In the video tutorial, I used african thread. It can be bought at any African Ethnic store or you can use nylon thread, or even wool and yarn thread. My hair has been washed and deep conditioned prior to threading. For each section, I moisturized my hair with Shea Moisture Curl Enhancing Smoothie. 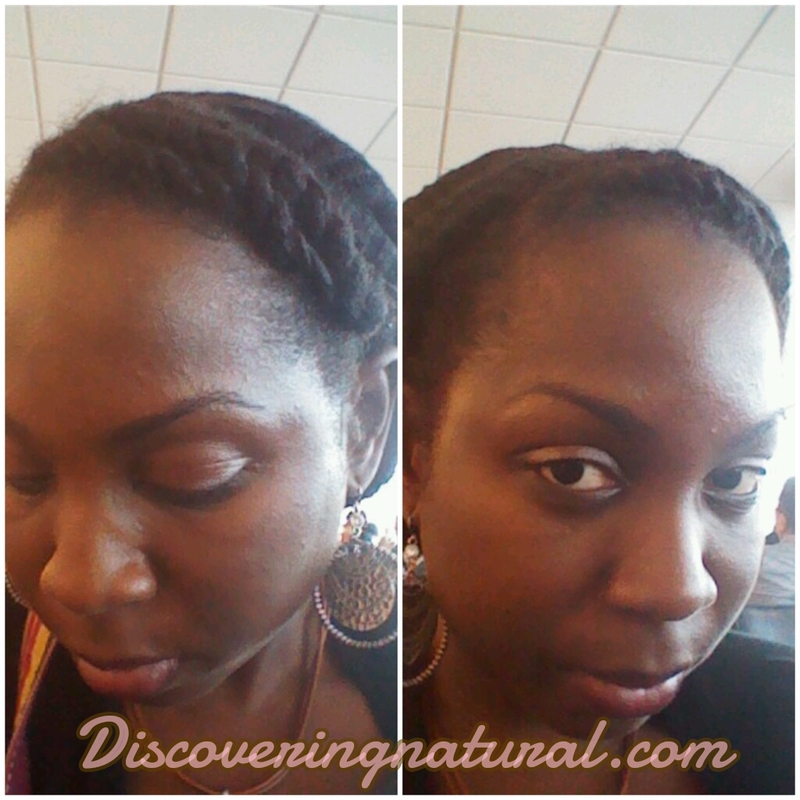 After threading, I applied Nubian Heritage Indian Hemp and Tamanu Grow & Strengthen Treatment Masque. 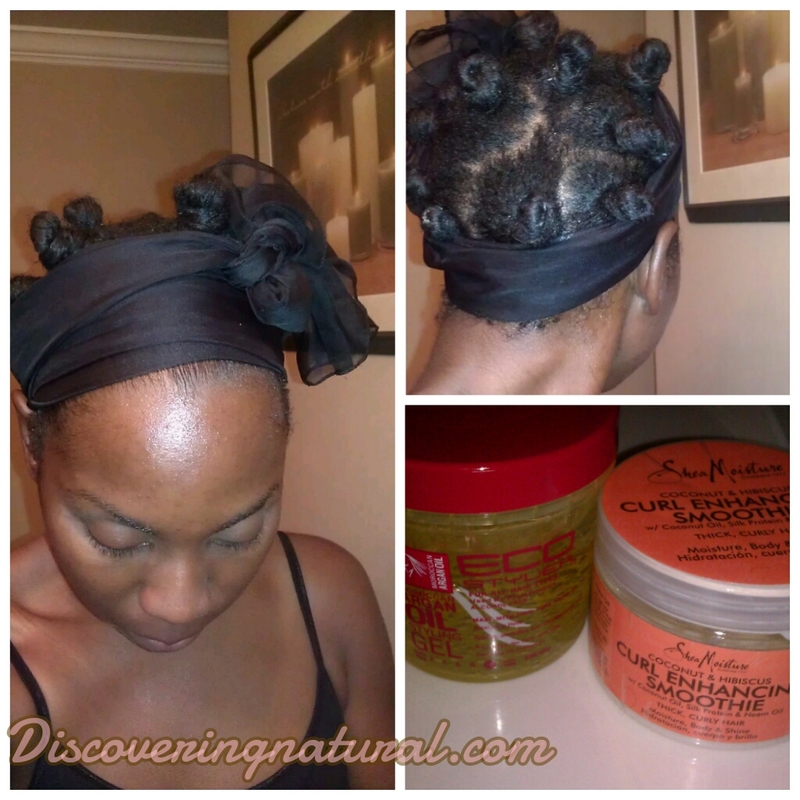 This product has been helping with growing my edges. 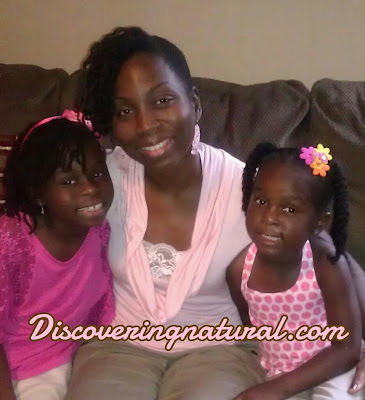 There are so many detanglers that are available to transitioners and naturals. I have used some that cost over $15 and gotten great results from them. 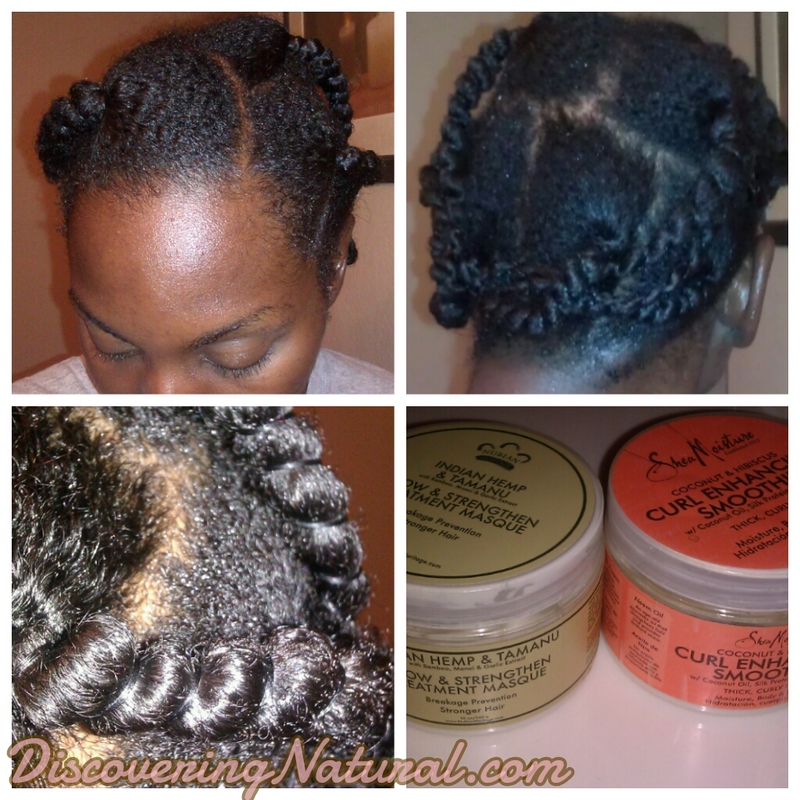 I have also used some detanglers that have cost over $20 and not received stellar performance. For some time now, I have been using a mixture of V05 Conditioner and Extra Virgin Olive Oil. The cost of the V05 was 87 cents and the EVOO, I used only 4 tablespoons of this oil, so the price for that amount is probably less than 10 cents. How did I use this as a detangler? 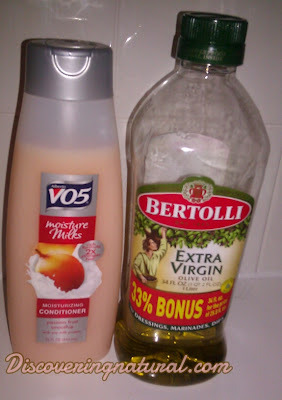 I made a mixture of 1/4 cup of VO5 Moisture Milks Moisturizing Conditioner and 4 tablespoons of Extra Virgin Olive Oil. After sectioning my hair into four parts, I dampen my hair with water. 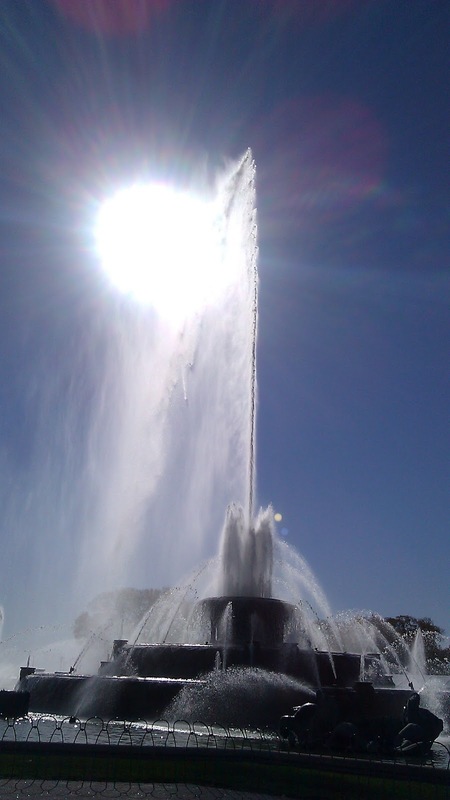 I made sure to run my fingers through my hair to allow the water to fully penetrate my entire hair. I generously applied this mixture to my hair, and as I did this, I started detangling my hair with my fingers. My fingers glided through my hair so easily. 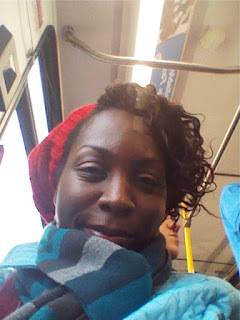 After application and detangling process, I covered my hair with a plastic cap, and allowed the product to further penetrate into my hair as a pre-poo treatment for at least 30 mins. Afterwards, I rinsed my hair with warm water and then resumed my normal washing ritual of co-washing and deep conditioning. Do you use V05 for Detangling and Pre-poo Treatment? What was your experience? 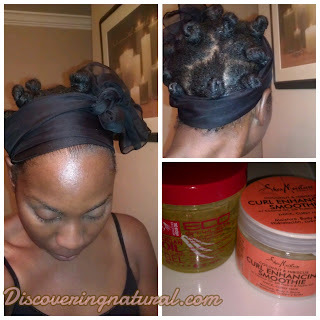 For my Bantu Knot out styles, I have used SheaMoisture Curl Enhanced Smoothie and Taliah Waajid Curl Sealer. I like the results I get from both products. 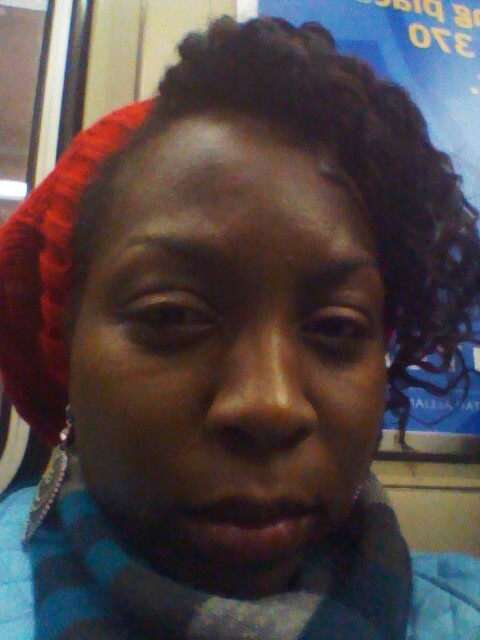 However, at the end of the day, the SMCES turns my hair into a big puff, the TWCS hold does not last and my curls fall. 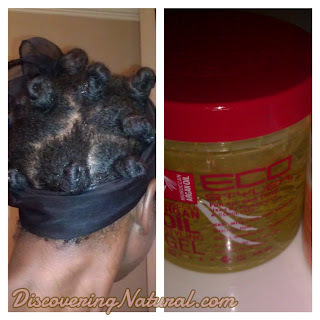 This past weekend, I tried (Ecoco) Eco Styler gel (Argan) and I Loved it. 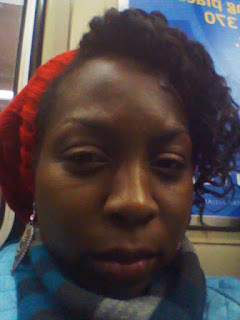 Even those my hair was moisturized with a little SMCES, the curls lasted the whole day! At night, I just reknotted, moisturized my edges with Nubian Heritage Indian Hemp and Tamanu Grow and Strengthen Treatment Masque. I was able to wear this style for 3 days!! Woo-hoo! Earlier in my transitioning, I didn't get good hold with Eco Styler gel, could be because I have more relaxed ends. Here is my earlier product review of the Eco Syler, Click here. 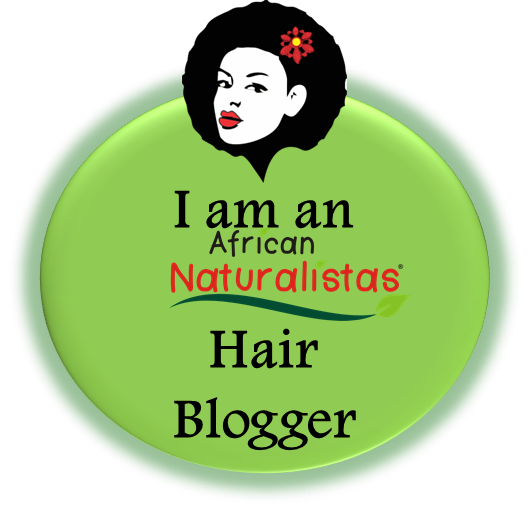 I have a feeling the awesome results I am getting now is because I have more natural hair than relaxed hair. Do you have products that you have used and totally changed the look/feel of your hair? Exciting, huh?! I created the style above using Eco Styler Gel, Argan and Shea Moisture Curl Enhanced Smoothie. 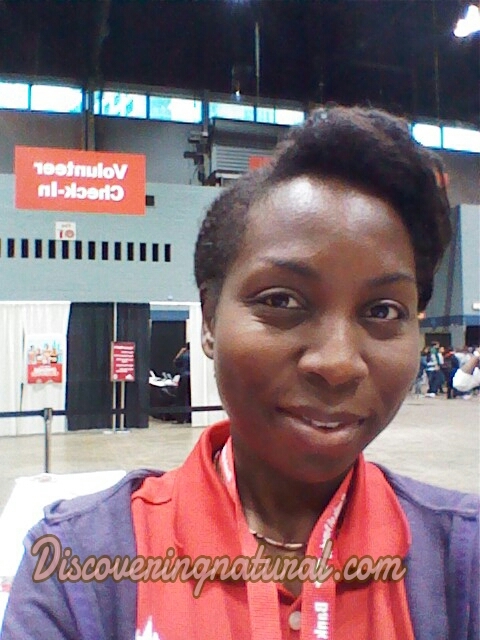 First, I co-washed my hair using Tresemme Natural Nourishing Moisture Conditioner. 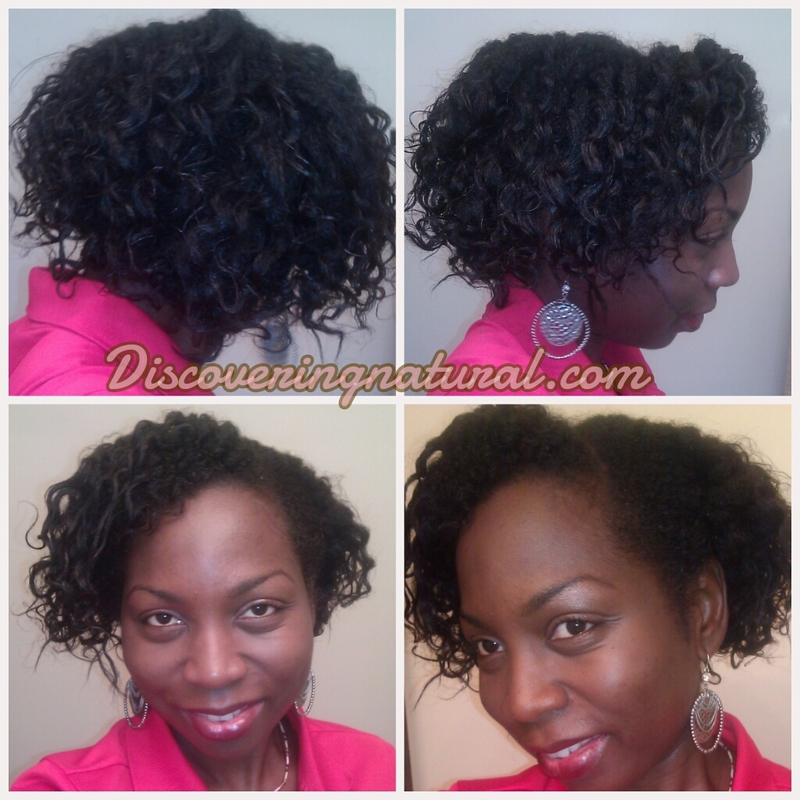 Here is a video tutorial on how I co-wash my hair and reduce tangles. 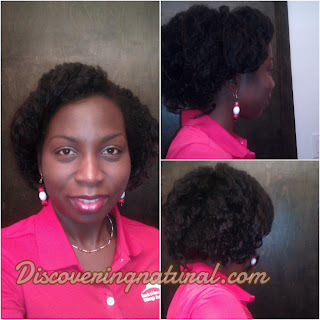 I set my hair overnight in Bantu Knots and front slicked down with the Eco Styler gel. One thing that I noticed was that, in the past, by the end of the day, my BKO style would have loosen up and grew bigger. Using the Eco Styler Gel, kept my style in place through out the day. I am very pleased! Like my Facebook page to get more tips on styling hair. 1. If you are experiencing extreme dryness, try co-washing your hair instead of using shampoo with sulfate. 2. 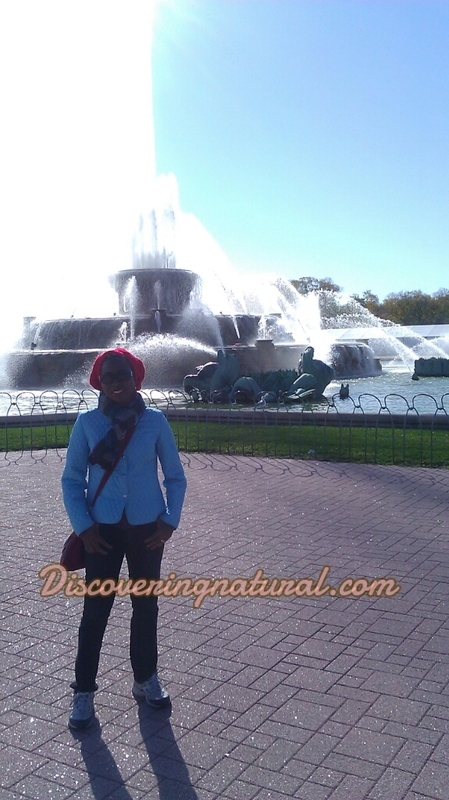 In colder weather, avoid products that have glycerin high on the ingredients list. Glycerin draws moisture from the air to the hair on humid days, but when the air is cool and dry, glycerin draws moisture from the hair, thereby drying up your hair. 3. 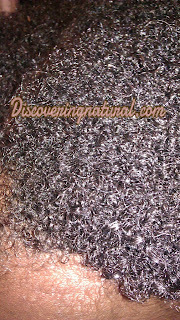 V05 conditioner mixed with Extra Virgin Olive Oil is a great detangler. 4. Doing hot oil treatments at least once a month will help the health of your hair. 5. 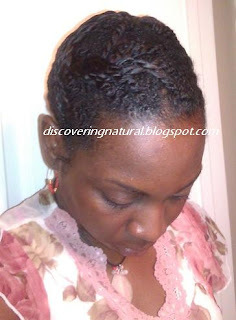 Rinse out your conditioner using cool water. This will help close the scales in your hair cuticle and lock in the moisturizing agents that are in the conditioner. 6. Rinse your hair with warm water before shampooing your hair. 7. Moisturize your edges AFTER washing your face at night. When you wash your face at night, water gets on your edges and dry them up. 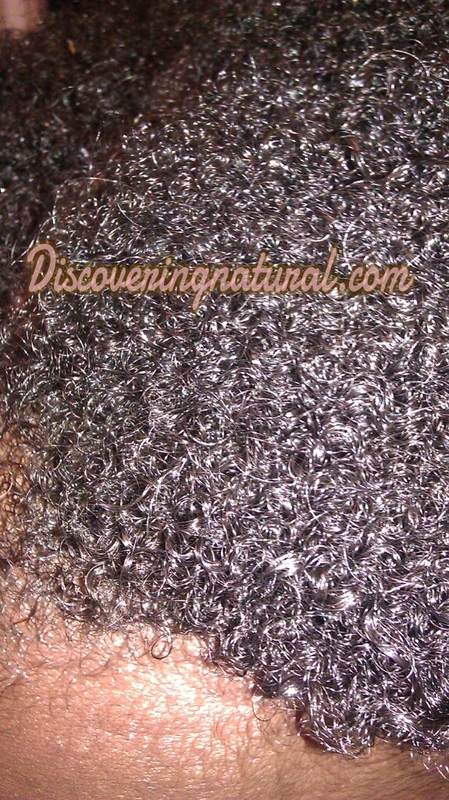 By doing moisturizing them after wash, you help put the moisture back into your hair and prevent breakage. 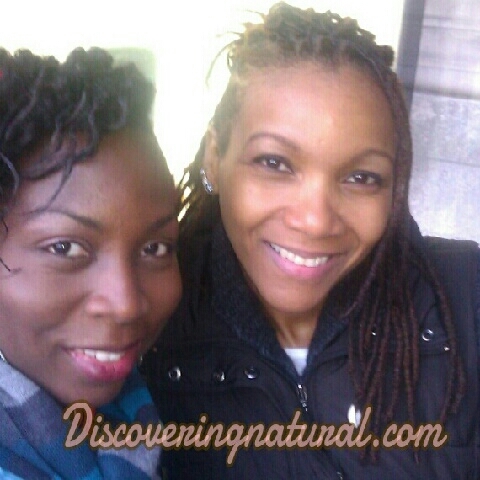 A protective style ﻿is a hair style where the ends of your hair is protected against elements such as the weather. Why do we need the ends of our hair protected? The ends of your hair are the oldest parts of your hair. Being the oldest part, it is also the most fragile. 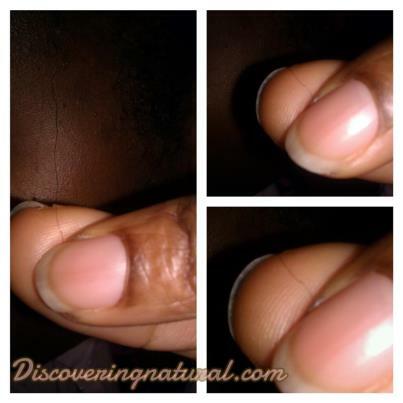 When your hair breaks or splits, this is the vulnerable area. By protecting the ends of your hair, you will be able to retain length. 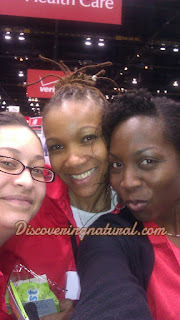 A lot of naturals and transitioners ask the ever popular question, "How can I get my hair to grow?". The answer to this question is not how to make your hair grow, but how to retain the length of your hair. Remember, hair is always growing. The average growth is 1/2 inch a month, considering other factors such as stress, diet, exercise, and maintenance. 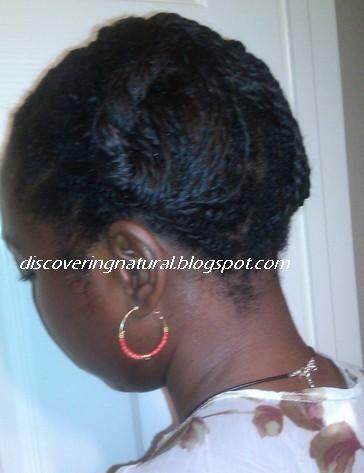 When you don't see the growth, it is because you are not retaining the length of your hair that you currently have. There are different kinds of protective styles. Some obvious ones are braids with or without extensions, twists, with or without extensions, cornrows, flat twists, bantu knots (if you can ROCK it) and buns. YES, Buns are protective styles too. A pony tail with the ends exposed is not a protective style. 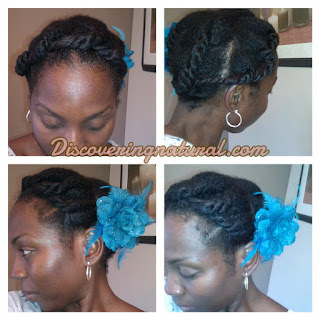 A bun, where the ends are protected is a protective style. 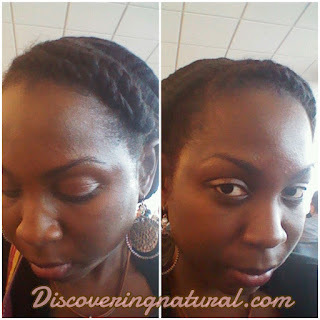 Below is a Video Tutorial on how to create a multibun protective style. 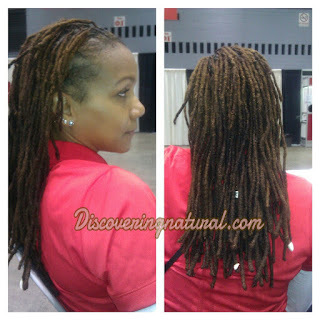 This style is great for transitioners because it hides your relaxed ends. 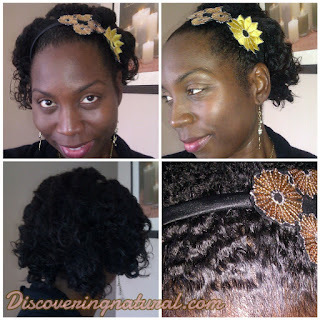 When I did this style, my hubby said, "Your hair looks all natural!". Do you do Protective Styles? What types do you like? 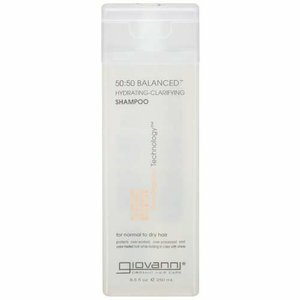 During my Mommy Vacation, I bought Giovanni 50:50 Balanced Hydrating Clarifying Shampoo. I have not clarified my hair in a long time, so I decided to do it the night I got back from my trip. Different products can build up on your hair and cause it to be dull, greasy, limp looking, and dirty. The process of clarifying helps to remove all these products from your hair and give it a clean start and bring shine to the hair. To start the process, I decided to try using Nubian Heritage's Indian Hemp and Tamanu Grow and Strengthen Treatment Masque as my pre-poo product. I wet my hair, and generously applied the masque to my hair, detangling my hair as I applied, and twisting it into 4 sections. This masque has great slip and I love the softness it brings to my hair. !! Product Review coming soon !! The direction said to leave it for 15 mins, but I actually left it for 1 hour. I rinsed my hair with warm water for about 3 mins before starting the shampoo process. Taking a dime-size amount, I gently applied and scrubbed each section. 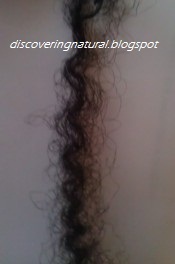 I let the suds fall on my hair and going in a downwards motion from root to ends, I washed the product out of my hair. I got this new method of washing my hair from LuvNaturals tutorial videos. As soon as I applied the Giovanni Clarifying Shampoo, I noticed that my relaxed ends started to tangle up really badly. Remember, I detangled it earlier with the NH Grow and Strengthen Masque. I did not like this AT ALL! However, it was not as bad as my Vatika Oil experience. After rinsing off the shampoo, I applied a generous amount of Tresemme Natural conditioner on my hair, almost like the detangling angel touched my head, the tangles melted! I was utterly pleased. I left the conditioner in my hair for the duration of my shower. Once I rinsed off the conditioner, I applied the NH Grown and Strengthen Masque once again, but this time, for a overnight deep conditioning. I love this masque. I have used it as a pre-poo, deep conditioner, and styler... and love love love it! Overall, my experience was not bad, I love the shine I got after washing my hair with the shampoo. This process will not be one that I will do often since my hair rarely has build up due to the fact that I use natural products that absorb into my hair strands rather than sit on top of my hair, aka silicone products. After washing my hair, I applied my Leave In Moisturizer, massaged my scalp for a couple of minutes with a mixture of Jamaican Black Castor Oil + Lavender Oil + Peppermint Oil. I loved the tingly feeling the peppermint oil gave my scalp. 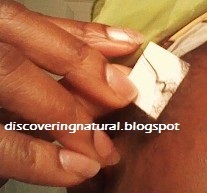 Then, I apply the NH Grow and Strengthen Treatment Masque and sealed in all that goodness with my Whipped Shea Butter. The style above is just to stretch my hair for a couple of days till I decide what I want to do. I am leaning towards mid-size twists. Do you clarify your hair? What products do you use? How often do you clarify your hair? 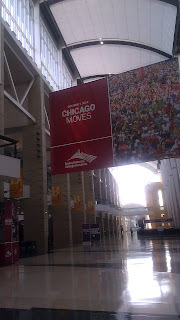 I was unable to blog about Day 4 on Sunday, because I was so busy hanging out with family, resting, and shopping. 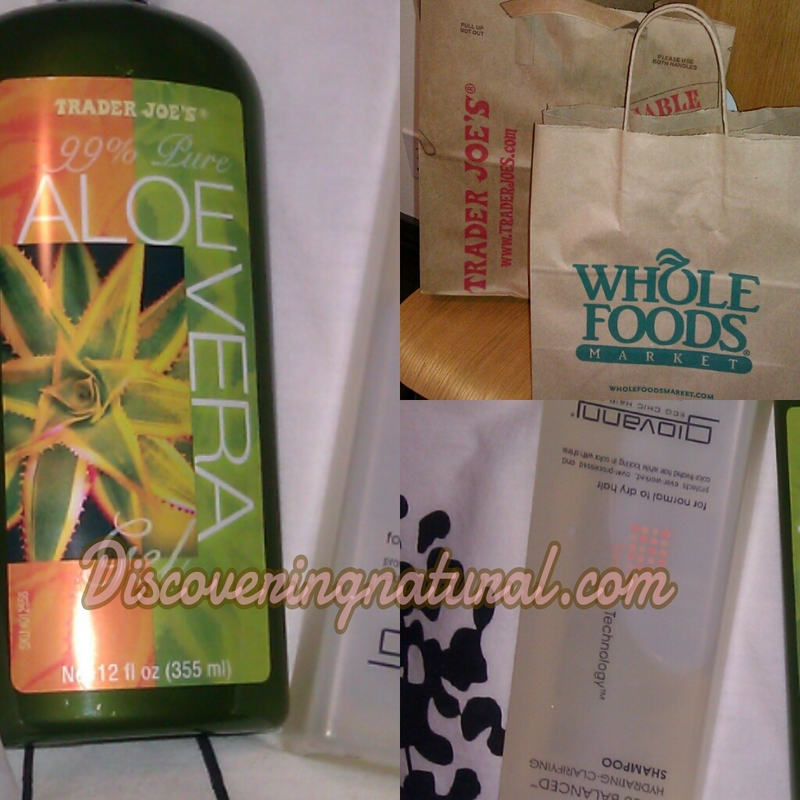 I ventured into Whole Foods and Trader Joe's and found some hair products that I had not found at the locations in my area. I have heard so much about Aloe Vera Gel, and found the one shown above at Trader Joe's. Although I would have preferred 100% AVG, I settled for 99%. If anyone knows where I can get a good 100% one, please comment below. At Whole Foods, I bought two Giovanni products; Smooth as Silk Deeper Moisture Conditioner and 50:50 Balanced Hydrating Clarifying Shampoo. I have watched and read several reviews of these products and will be trying them in the future. I have not clarified my hair in a long time, and plan on doing it on my next wash day. ﻿ On Day 5, I did some sightseeing in the cold city of Chicago. It was not too bad!.. but cold, regardless. Millennium Park is a must-see if you visit this windy city. Before my flight, I stopped at Potbelly to get a Skinny Mushroom Melt Sandwich and a coffee smoothie. Delish!! I loved how the smoothie comes with the tinnest sandwich cookies I have ever seen. LOL! 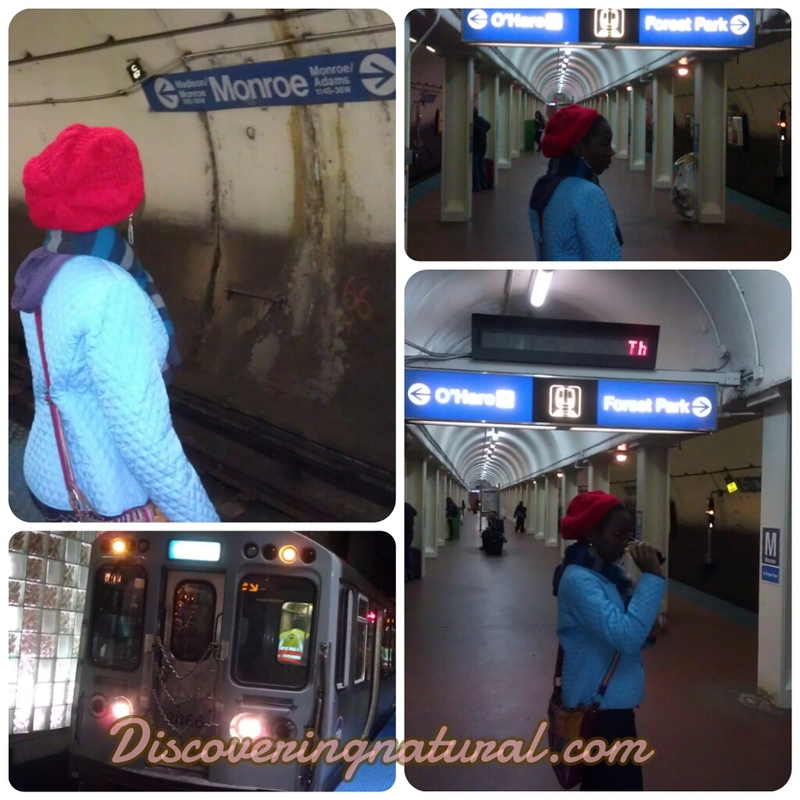 Before I knew it, it was time to grab my bags, catch the train to O'Hare Airport. 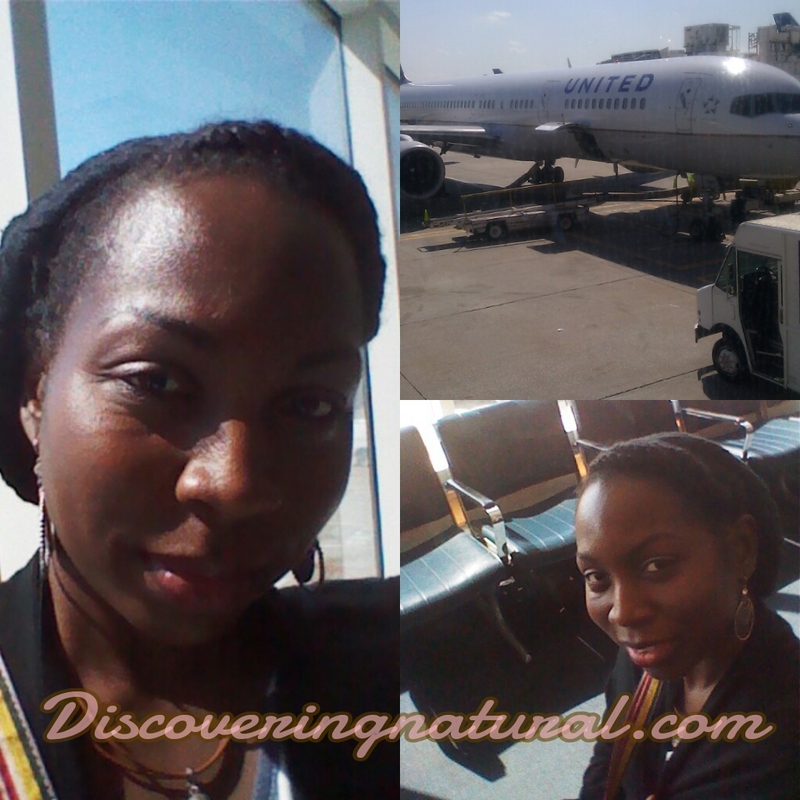 I enjoyed my vacation and feel rejuvenated! How was my hair styled on Day 4 and 5? 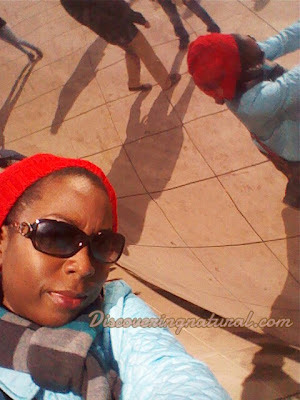 Since I knew I was going to be outside in the elements, I did two jumbo flat twists going back and covered the back of my hair with a beanie lined with satin. Picture is on Instagram. 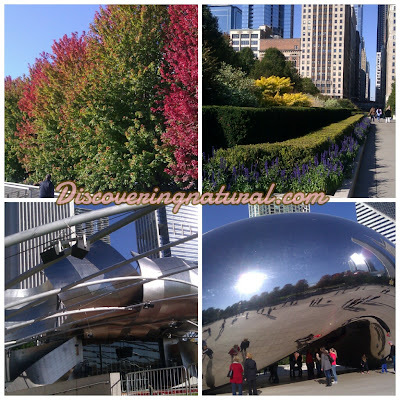 I was not able to blog yesterday, I was too tired. 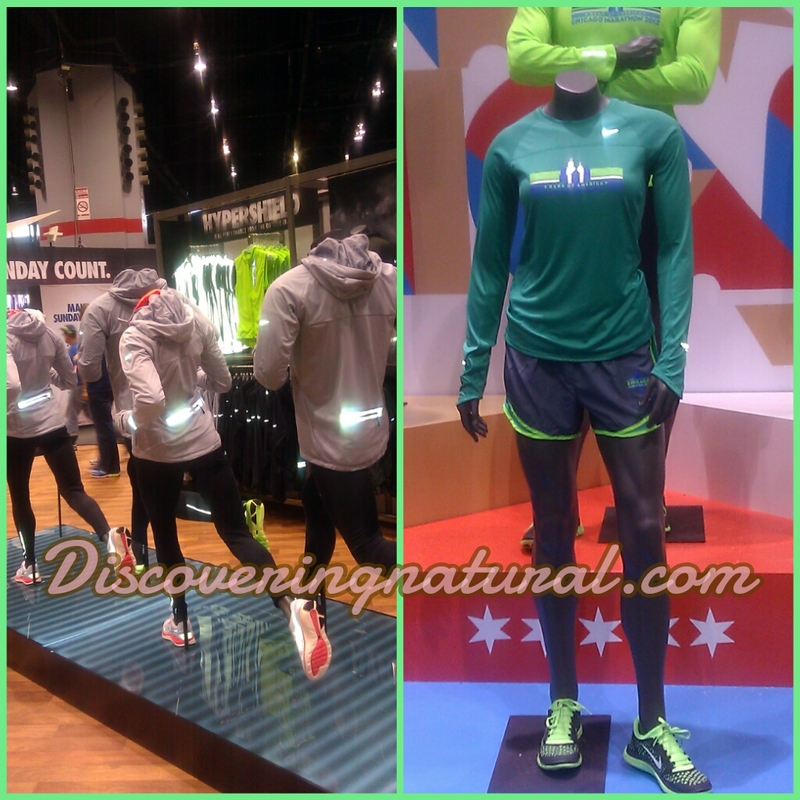 It was such a fun day at the Chicago Marathon Expo. 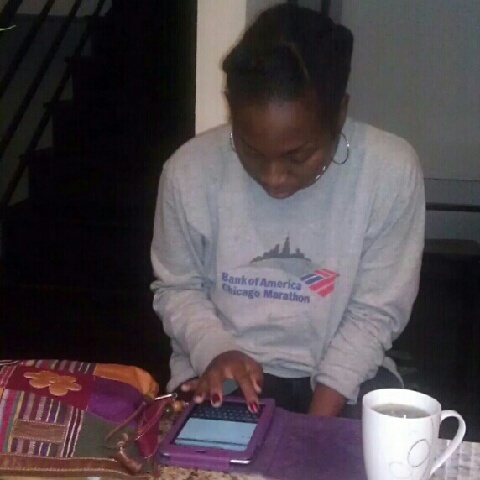 The night before, I had put my hair in braided Bantu knots. 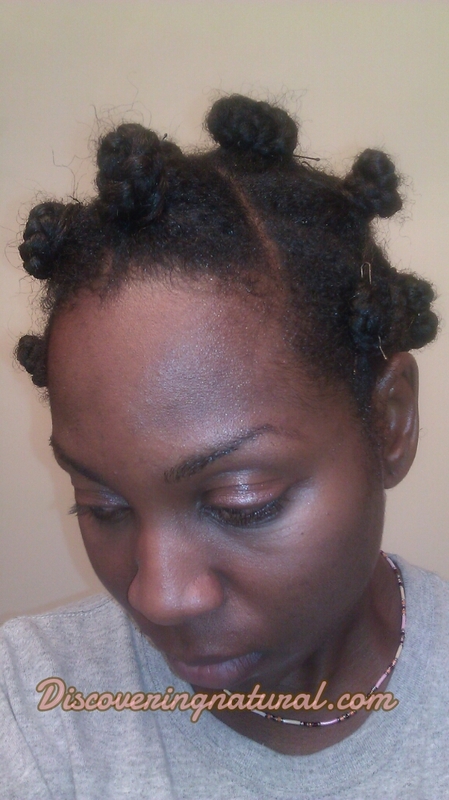 It did not look too bad, at first, but when I was done un-knotting the Bantu knots and un-braiding the braids, the relaxed ends did not cooperate with me. It did not curl up as well as it should. Thanks to the magic of bobby pins, I was able to tuck them under. My other SIL joined us today. I feel so blessed to be able to share this experience with my sisters. 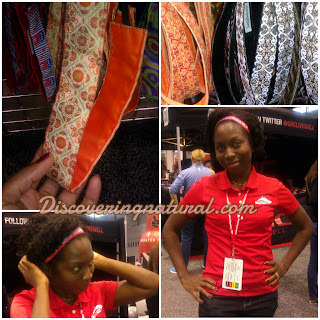 The cute Sweaty Bands are great for working out. I love the designs and boy! there were so many of them. You can even get them customized. Changed style..lost one of my earrings on the bus or train...oh well! After six hours, the bobby pins lost their fight to tame my relaxed ends, and I had to put my hair into a bun with a slanted pompadour. Once a year, I go on a little mommy-vacation. I find this time away from the kids to be a rejuvenating time. 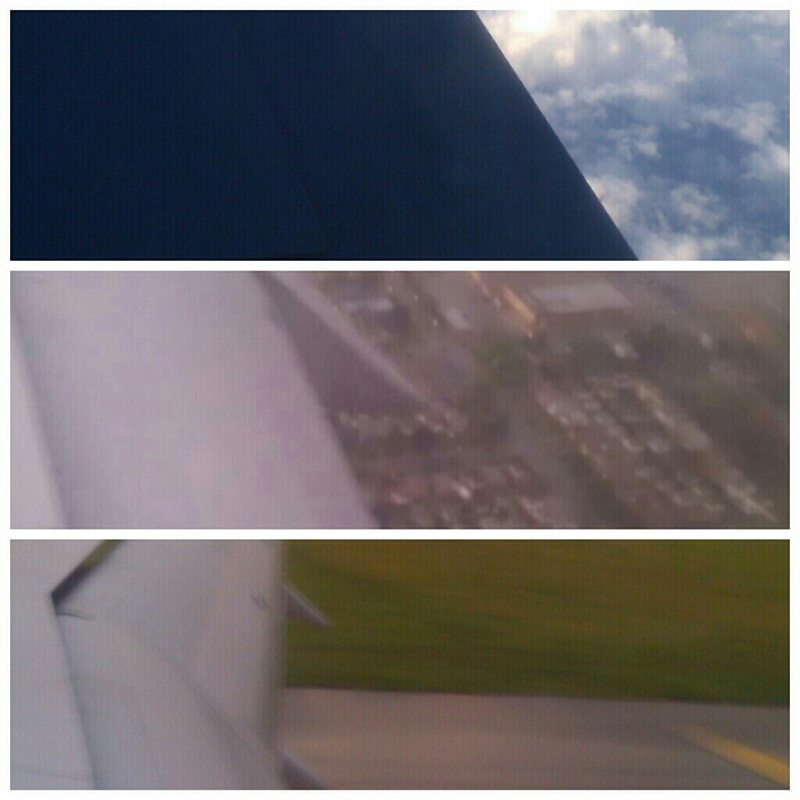 Last year, I went to Florida. It was SO much fun relaxing on the beach. 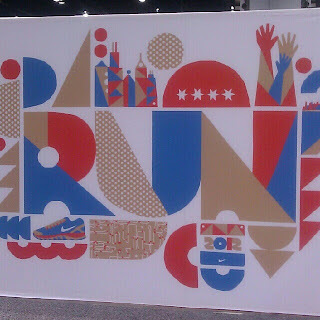 This year, I decided to do something enriching. 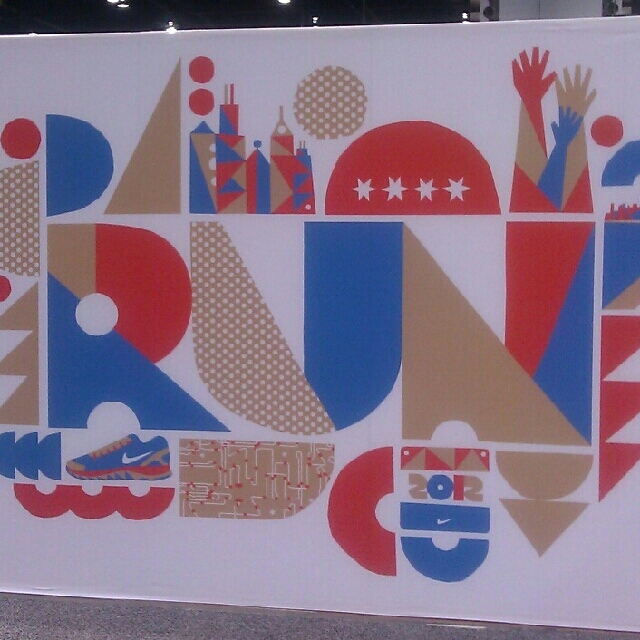 I love volunteering at races, when I am not running. 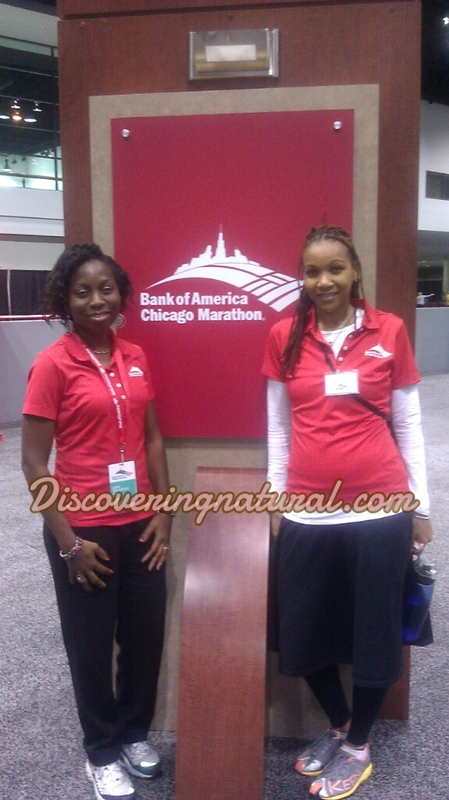 This year, I decided to volunteer at the 2012 Chicago Marathon Expo. Here are my Day 1 and Day 2 pictures. In the subway... 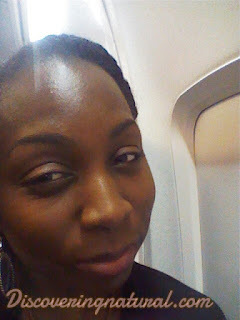 I look tired! Waiting for the bus... It's so COLD!! My SIL and I, ready to volunteer! My SIL's lovely locs! Super Duper Cute! Taking a short break to take pics with new friend! At one point during the day, the Volunteer sign was swaying so badly... Very Spooky!! Sorry for the video quality, used my phone to record. 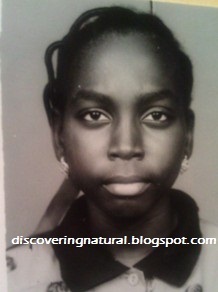 Growing up as an only girl, my mother would take me to the hairdresser every Saturday. It was a ritual. After pancakes, then it was time to go to get my hair done. I don't remember having conversations about hair care with my mother. Even into my adulthood, such a conversation never took place. The only information I got about hair care was either from my stylist or friends. I didn't have the luxury of the INTERNET or Hair Forums and Meetups. I feel blessed to have two beautiful girls, whose characters are as different as their hair texture/types. Big Sis is my gentle spirit and always willing to help others and learn from them, while Lil Sis is adventurous and her active and sometimes wild spirit keeps me on my toes. Afraid to repeat history, I started teaching my girls how to care for their hair. When we do our weekly wash and daily maintenance, I tell them what I am doing. Yes, I do use silly references, but make sure to tag along the real name of the product. If you are a fly on the wall during these bonding moments, you will hear me telling Lil Sis that we need to make sure her Grandpa/Grandma hair gets its food. Grandpa/Grandma hair is what we call the ends of our hair; the oldest most fragile part. You will hear Lil Sis reply back with, "And don't forget my baby hair too, Mommy!". Big Sis is much older, so she always reminds me to not forget to give her a scalp massage. She L-O-V-E-S her scalp massages. Big Sis and Lil Sis have different hair textures/type. Teaching them to love their hair shows to them that it is beautiful, not something that needs to be modified to be accepted. If they do choose to change it at an older age, it will be their choice and they would be well equipped with the tools necessary to maintain it. These bonding moments will create longer impression on your child than a fun day at the best-est amusement park. These moments will be carried on through generations, after you are gone. 11 months and going strong!